“Home without Housework”- Welcome to 2018, or so new smart home technology featured at CES 2018 gives us hope for. It’s not only housework that is being revolutionized, but also the complete organization of cities and the way we interact within our communities. One of the main focuses at CES 2018 was “Connectivity” ranging from smart homes and smart cities to connected cars. The Smart Home Marketplace was one of the exciting new additions to the CES landscape in 2018. In addition to some of the more traditional connected home sensors like smart thermostats, smart security and smart lighting, a stack of other innovative products were on display from smart bathrooms & bedrooms to smart irrigation. One interesting product was the Kohler Smart shower. The shower allows multiple users to save their preferred settings (heat, light, music) letting us say goodbye to the extreme temperatures that have been bringing a shock factor to showers since 1767. With the average home expected to have over 35 connected devices, the conversation of security naturally came into question as well. Intel is making its move by announcing a new chipset for home routers and gateways, claiming, faster and safer wi-fi. And where will your smart home be located? In a smart city no doubt. It’s no surprise smart cities were a big discussion topic this year at CES 2018 considering spending is expected to rise to $34 billion by 2020. From autonomous shuttles, smart streetlights, and charging stations, smart cities are working to improve safety, transportation, and connectivity. 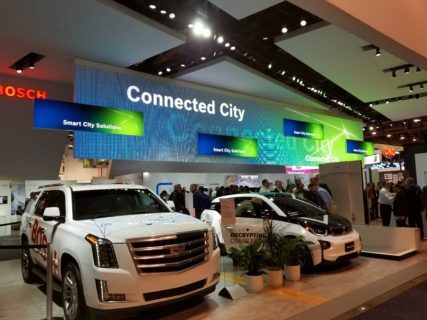 Gaining more traction this year was the talk of 5G connectivity and its importance in bringing all things “Smart City” together. This ultra-fast, low-latency connection will accelerate the capabilities of IoT devices, creating the infrastructure for cities to make the jump into “smart”. With better connection, 5G allows for quicker response time when it matters, such as vehicle-vehicle communication and gathering data. And what will you drive in your smart city? An autonomous and connected car of course. The race is on in the automobile industry. CES 2018 showcased how self-driving, connected cars are no longer the future, they are here and the possibilities are exciting. Toyota announced their ultimate delivery- fully electric, autonomous e-Palette, which can be used for everything from food and packages delivery to passenger transportation. AI was out to play, improving the connected factor in cars. Voice command technology is getting more sophisticated, with software able to recognize two commands in a sentence and completing both, such as telling you the weather while texting your friend to tell them you are going to be late. There was also talk about connecting cars with the environment around them, from interacting with streetlights to recognizing the driving conditions and adjusting accordingly (ie. Slowing down when icy). 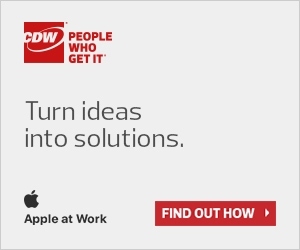 And what else might you need in your connected lifestyle? The possibilities are endless. VR and AR were more prominent than ever at CES 2018. We saw Lenovo launch new devices with Google, notably their new smart display and Daydream VR headset. Drones were also more prominent at CES 2018 than they were last year. Yuneec displayed their new industrial H520 drone, with the hazard orange colour making it ideal for asset inspection to search and rescue. Another big player at CES was Google. 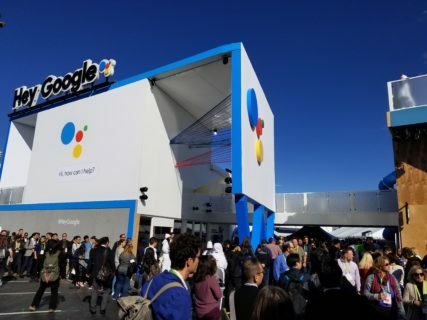 From an advertisement takeover to their presences in over 200 partner booths, Google wanted consumers to know that Google Assistants is here and still coming in hot. And of course, no CES 2018 review would be complete without mentioning Sony’s robot dog Aibo. The robot was a big hit among the attendees and a big revamp of their previous model. Despite blackouts and floods, CES 2018 left us excited for the year and the connected future that new technology will propel us to. Next articleWhy move to a Cloud platform like Microsoft Azure?